Take the stunning views, plush suites, two man tubs and candlelit dinners and you are guaranteed romance. Stella restaurant offers some of the finest and most innovative cuisine in the region. The hot tub suite has a private enclosed verandah housing a large hot tub with a stunning lake view. Children of all ages welcome, and some rooms can be interconnecting, plus babysitting services are available on request. There are three dog-friendly rooms in the main house, with beds and bowls provided. The rooms have direct outside access. Spend a cosy evening by the fire playing the hotels board games and sipping on delicious cocktails. If walking isn't for you, do not forget to enquire about the bikes and explore the countryside and the miles of country lanes. Try your hand at Fly fishing on the hotel's lake, a wonderfully peacefull way to spend an afternoon. The hotel provides route-finding sheets of all the spectcular local walks, plus a guide if needed. Just across the lake is Beatrix Potter’s 17th Century house, well worth a visit. 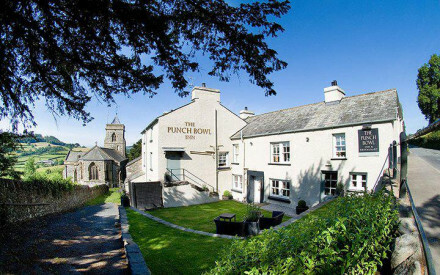 Undoubtedly for the stunning panoramic view over Windermere and the fells, but also for the privacy and tranquillity that Linthwaite can offer thanks to the fact that the hotel is located on a private road and set within 14 acres of beautifully landscaped gardens. In the hotel itself, guests appreciate the excellent food offering, the friendly and accommodating service, and the immaculate rooms that incorporate the best of modern British design and furniture makers. On site, guests can wander the grounds and admire the many striking sculptures, they can enjoy a picnic up beside the tarn (the hotel’s own private lake) or take out one of the row boats and enjoy a tranquil spot of fishing. Those wishing to play a game have a boules pitch and a giant chess set at their disposal in the garden. In the lobby, there are Hunter wellies of all sizes, so that guests can follow one of the many walking routes that start and end at Linthwaite House (route maps are also provided by the hotel). Indoors, there are plenty of board games and beautiful books to flick through, while enjoying a drink curled up in front of the roaring log fire; others may wish to simply sit in front of the conservatory window and soak up the stunning Lake District views. A buffet breakfast of fresh fruits, yoghurt, juices and smoothies, plus cereals and pastries, plus a range of cooked breakfasts freshly made to order. Stella restaurant serves delicious locally-sourced Cumbrian food with a touch of Italian flair, while light meals including traditional afternoon teas can be enjoyed in the bar, conservatory and, in summer, on the terrace, all with outstanding views over Windermere. The View Rooms (on average 29m²/312ft² in size) have breath-taking views over Lake Windermere or the beautiful Lake District landscape. All are en suite with king-size, double or twin beds; they cost form £320.00 per room per night on a B&B basis. 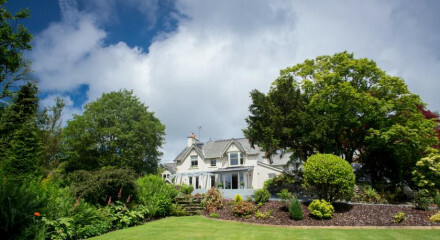 The Lake Suites are six newly-created rooms located away from the main building in two wooden-clad buildings (three rooms apiece) in Linthwaite’s gardens, close to the tarn. Due to the fact that they are extremely spacious and two in each building inter-connect, they are perfect for families, negating the need to squeeze an extra bed in a room. Outdoors, fishing and row boats on the tarn, as well as boules and giant chess in the gardens; indoors, plenty of board games. "What I like about Linthwaite is the carved mahogany fireplace with crackling fire in the hall, the unflashy sitting rooms, the wraparound conservatory with wonderful lake views, the gently sloping grounds." From its elevated position Linthwaite enjoys breathtaking views over Lake Windermere and the Coniston Fells.